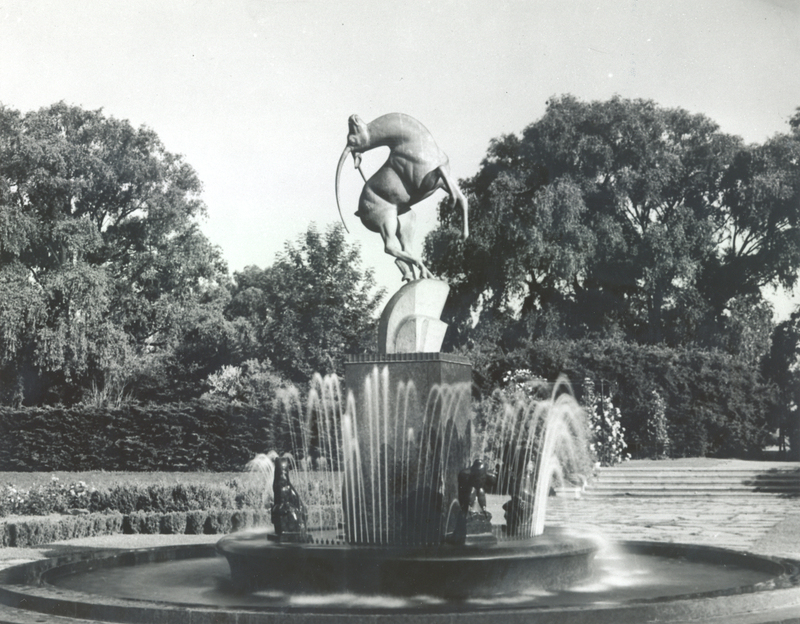 The Levi L. Barbour Memorial Fountain is the first commission Fredericks received and it initiated his career as a distinguished public sculptor. With castings found throughout the United States and Europe, this sculpture remains one of Fredericks’ most popular. Today marks the 75th anniversary of the dedication of this important work. The Marshall M. Fredericks Sculpture Museum marks this occasion with special exhibits at the Belle Isle Aquarium and in the Museum.